Ruining friendships with Mario Kart. 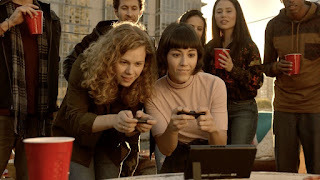 The Nintendo Switch is out and playable for those not living in Atlantis, a radio tower, or some combination of the two. This week on the EXP Podcast, we check-in on the public reaction and look ahead at some coming games. Have you bought a Switch yet? Does this system have what you're looking for in new console? What sort of garment should you keep the Switch tablet? Let us know!